Increasing fraudulent online transactions have forced Indian banks to seek insurance cover against fraudulent online transactions, including those involving credit cards. “Demand for insurance policy against phishing, skimming and Internet hacking has gone up in the last one year", said Mr. TR Ramalingam, head of underwriting at Bajaj Allianz General Insurance. The policy will cover cyber extortion and breach of data privacy. And, the premium, which depends on several factors, will be between 1 to 2 per cent of the liability bank looking to insure. As per the data of an insurance company, banks from small to large-sized are opting insurance policies with coverage ranging between Rs 250-500 crore. Earlier, insurance companies in India did not offer such policies, but now as the cyber related frauds are increasing day-by-day and banks are keen to be protected against, insurers sees a great opportunity in the segment in coming days. According to a data, in year 2012-13, domestic banks lost Rs. 17,284 crore on account of fraud. 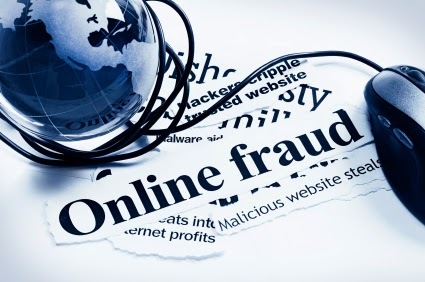 During the period, 62 banks filed a total of 26,598 cases related to online frauds.